Happy Monday, friends! I hope you all had a great weekend. Can you believe we’re already into October? I feel like I spent the entire month of September trying to get ahead of the game because we have a crazy month ahead, but honestly I’m not quite sure I did enough! I think that’s probably how we all feel, right? Either way, this crazy month ahead has so many fun things on the calendar that I’m excited about including taking Jackson to see Elton John, our trip to Disney and my favorite holiday: Halloween. To kick off a new month here on the blog, I’m really happy that we’ve decided to bring back Mommy Monday and we’re even introducing a couple of new ladies to our group! If you’re new around here, Mommy Monday is a once-monthly series that a group of us (who are moms and style bloggers) do where we share a brand or product with you that we’ve been using and loving. This month we’re working with Crab & Cleek, a brand that I’ve been a fan of for a while. 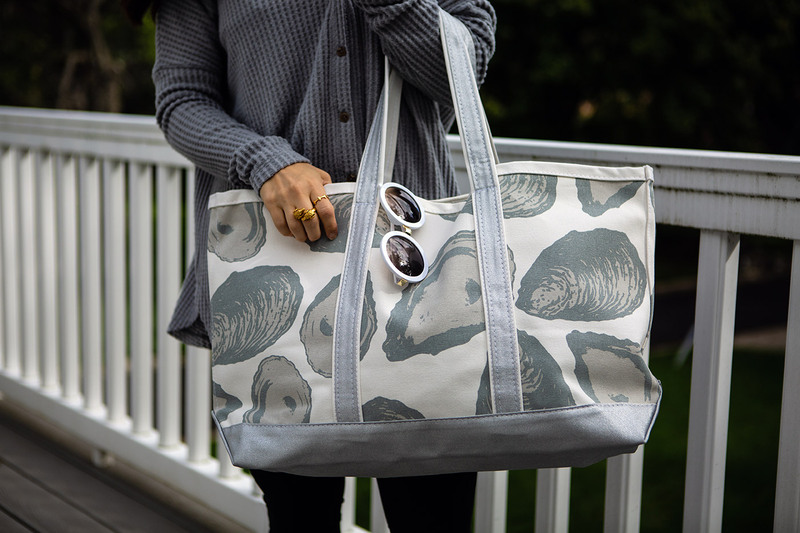 They have the cutest totes, including this adorable French Sailor Tee tote and this Lake tote (perfect for all of you lake weekenders like us!). 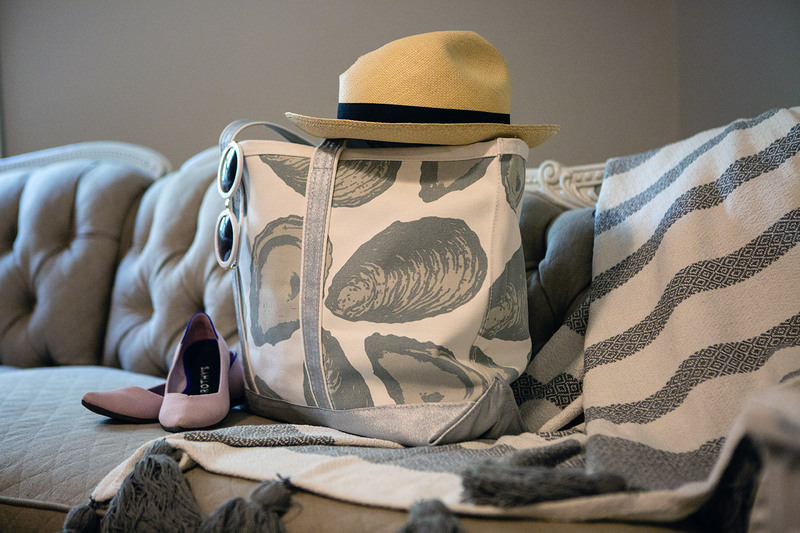 For this month’s post, I picked out this slightly sparkly Oyster Tote that Crab & Cleek did in collaboration with designer Emily McCarthy. There’s also this fun, bright cheetah tote in the same collection – which is the perfect pool bag! 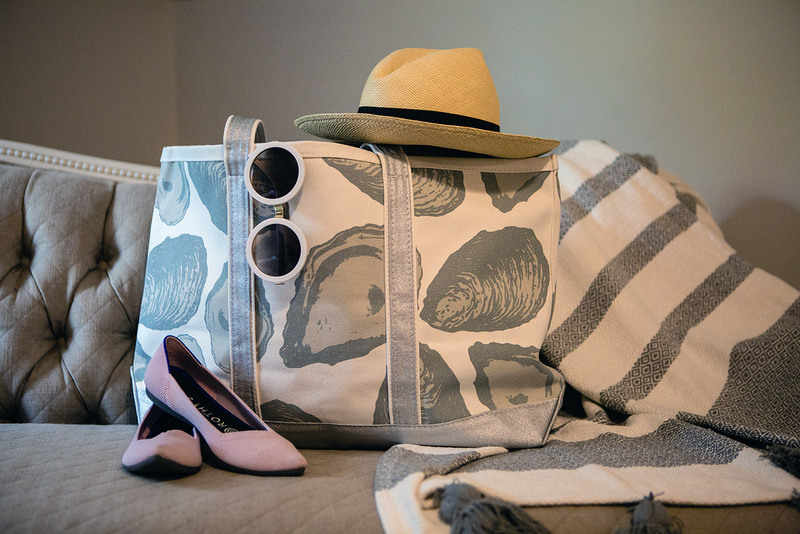 My tote is going to be in my bag for our trip to Florida so that I can use it to go back and forth to the pool when we’re there. It’s super roomy so I can fit towels, extra clothes and even the Dylan’s puddle jumper and some googles. It also may double as a souvenir bag for our way home. I’ve started to do this more often with trips, so that I can have an extra bag for the random things we pick up on vacation – and with Disney trips, extra space is always necessary! As with many of our Mommy Monday posts, this month’s series will include a giveaway! Tune in to Instagram tonight at 8:00 PM Eastern to see how to enter and what you can win.